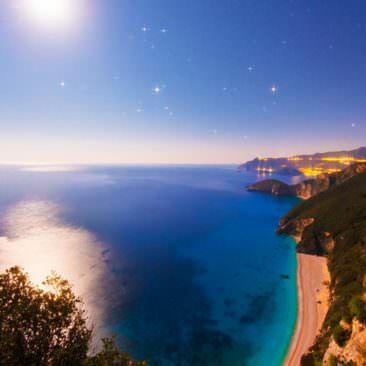 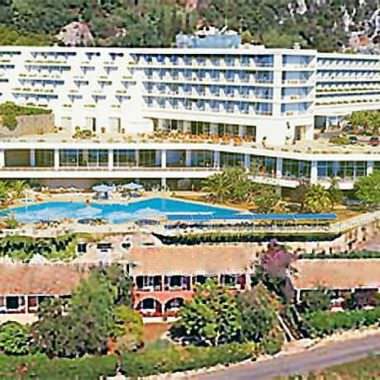 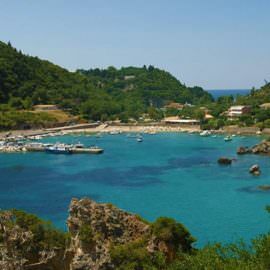 Travel Guide for Corfu Greece provides unlimited information and details for your holidays in Corfu, All about the tourist infrastructure, accommodation, the Best Beaches, the Sights, and Attractions, as well as to the manners, customs and Cultural events of the island that a future visitor needs to know. 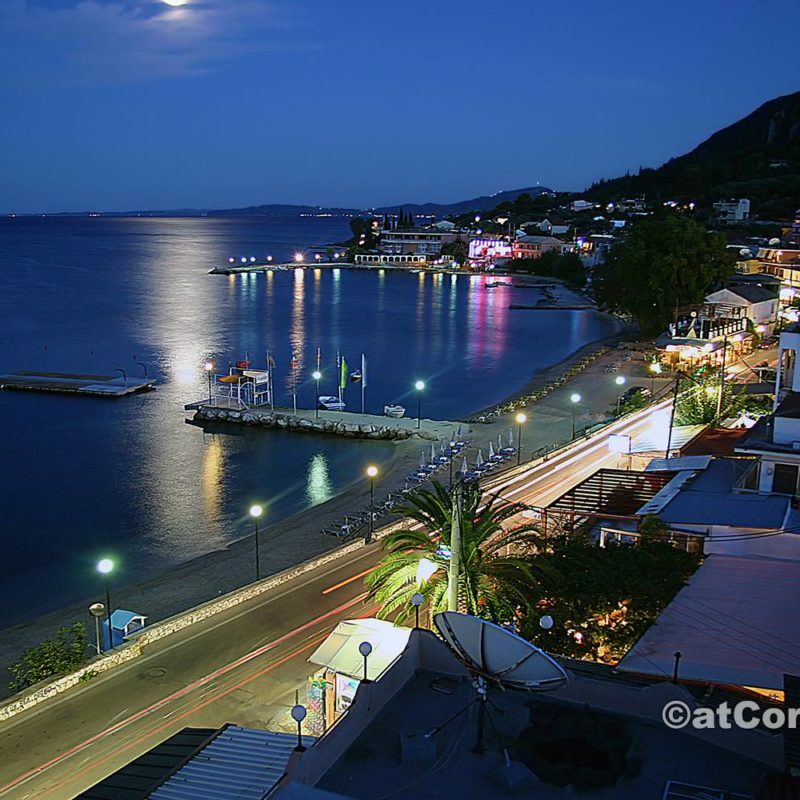 Online reservations can be done from within the pages of Hotels and Apartments, quick and easy, cancel anytime. 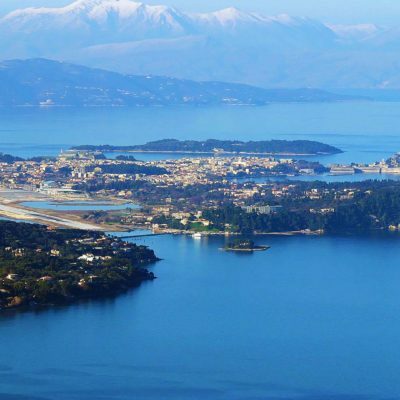 Corfu is an island located in the northwestern corner of Greece at the north Ionian sea, and is one of the most interesting and beautiful places in the country, the greenest Greek island with a lush vegetation, emerald sea and long sandy coasts, a landscape covered in cypress trees, olive groves and wild flowers. 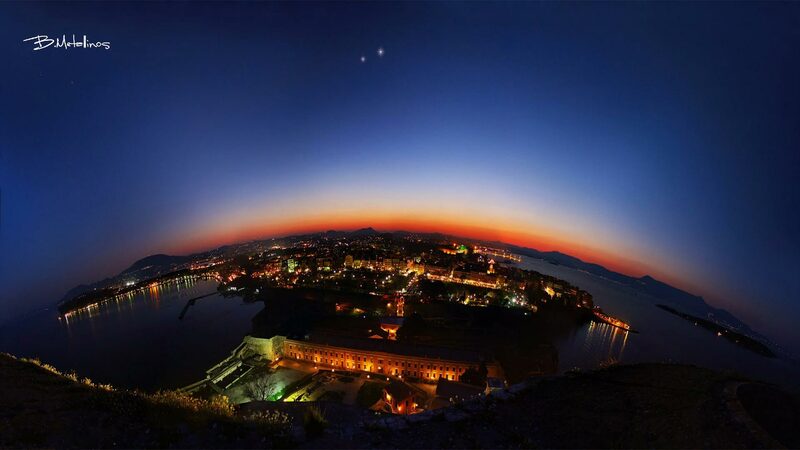 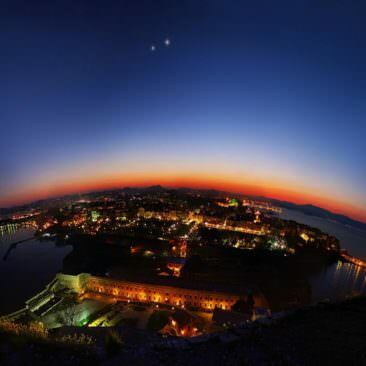 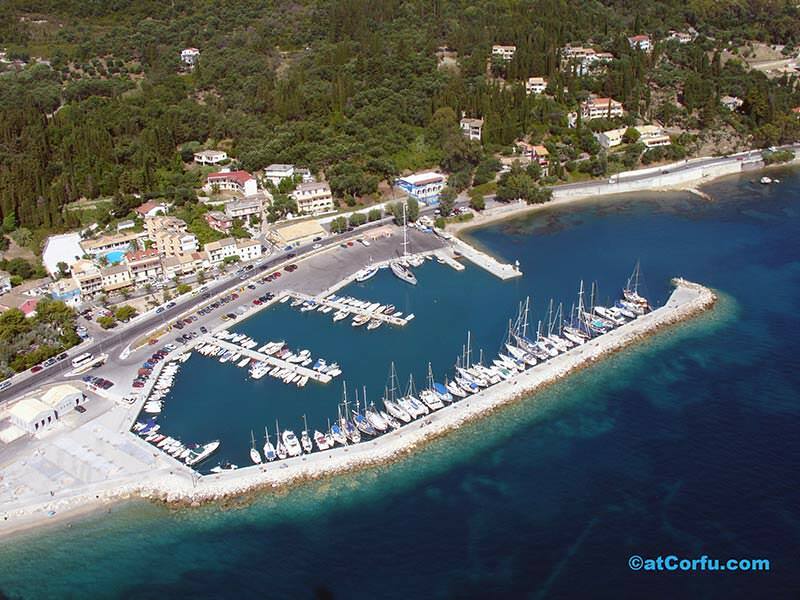 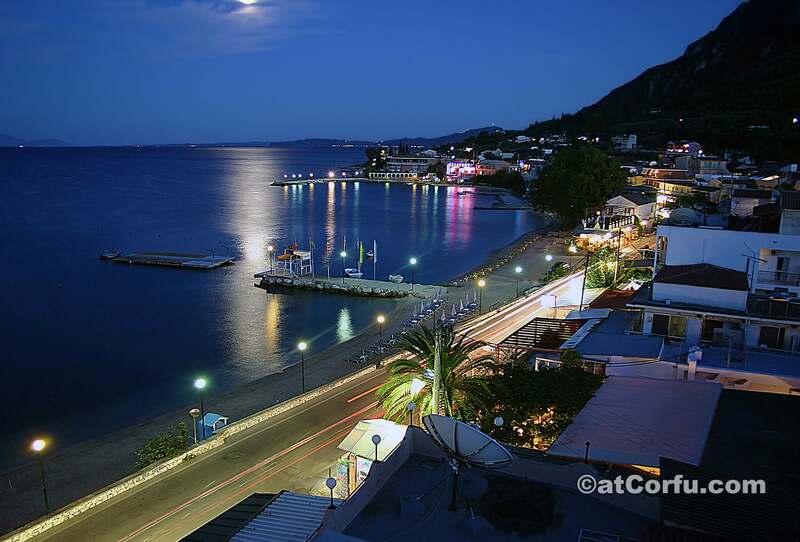 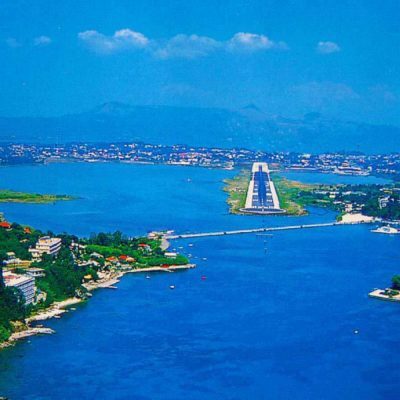 The International airport Ioannis Kapodistrias, just three miles from the center of Corfu town, along with the Port are the main gates connecting island with the world. 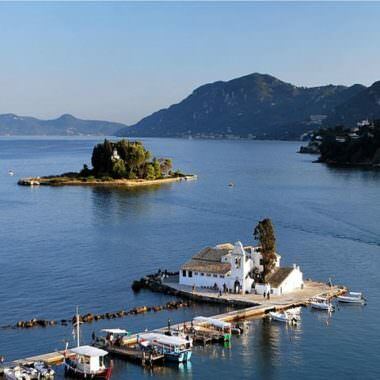 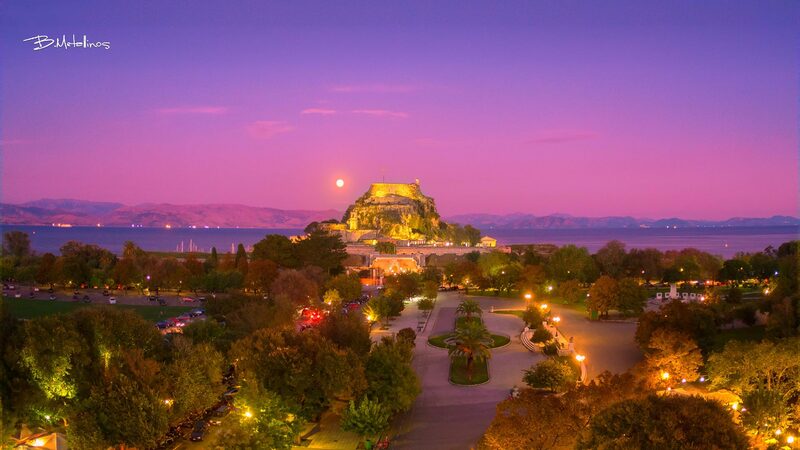 The island offers for exploring a traditional medieval town unchanged in time, countless traditional bustling villages and lively tourist destinations with the best nightlife in Greece, holidays in Corfu suits all tastes and ages. 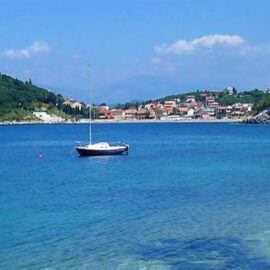 Don't forget the long history, this island is notable in Greek culture and tradition for over 3000 years. 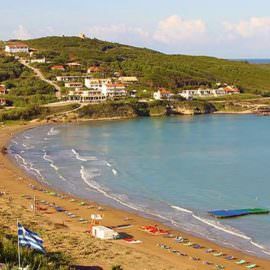 Today it is a very popular holiday destination with resorts of unsurpassed beauty, very rich historical and cultural heritage and beautiful buildings and monuments that do not exist anywhere else in Greece. 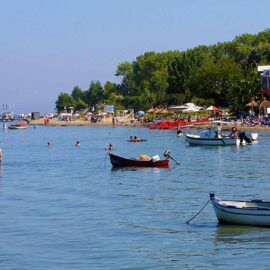 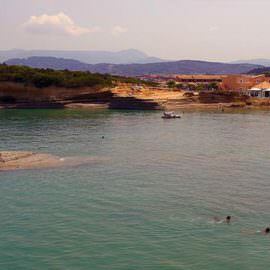 Benitses village, at the East coast holds a special place in our Blog, after all is our hometown. 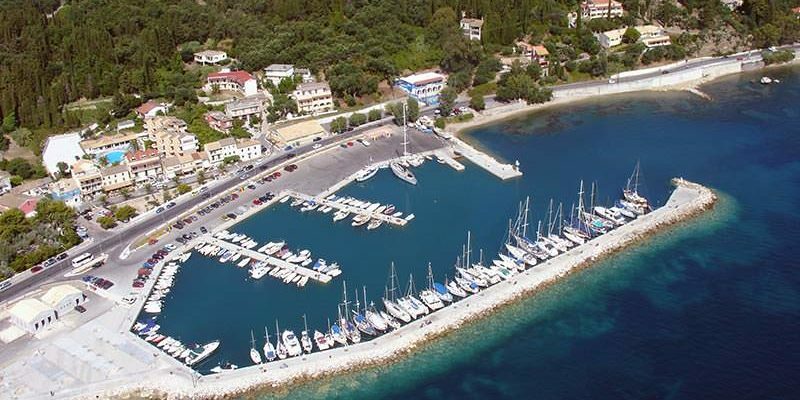 There are extensive references to the sights and places worth visiting in Benitses and the surrounding area, such as the sea museum, the ruins of the Roman villa with remnants of thermal baths, the new marina of tourist boats, the Achilleion Palace in Gastouri etc… are all listed so you can plan your stay and not miss anything of interest to you. 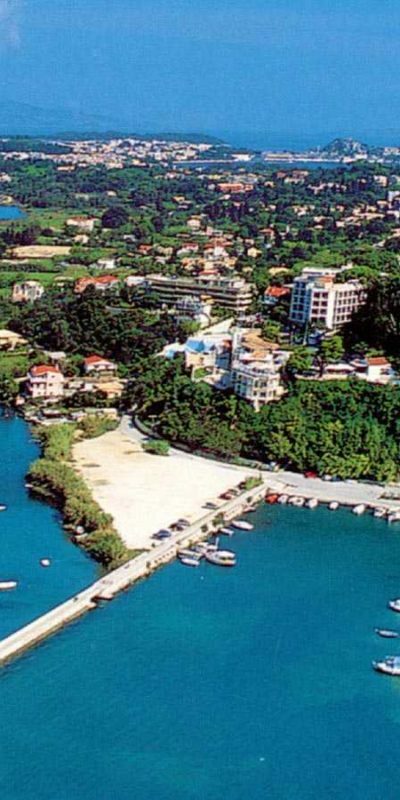 Also, information on nightlife and on many renovated hotels, rooms, and apartments,info for many restaurants, cafes and all sorts of shops in Benitses and the surrounding area. 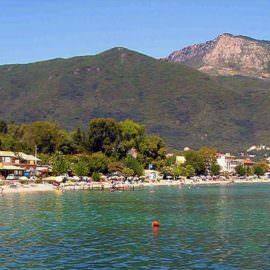 A complete cultural guide with the celebrations, events and festivals of the village is included too, with many photographs, aerial photos and above all a unique collection of historical very old black and white photos show what the village used to be like, and how our ancestors lived in the past. 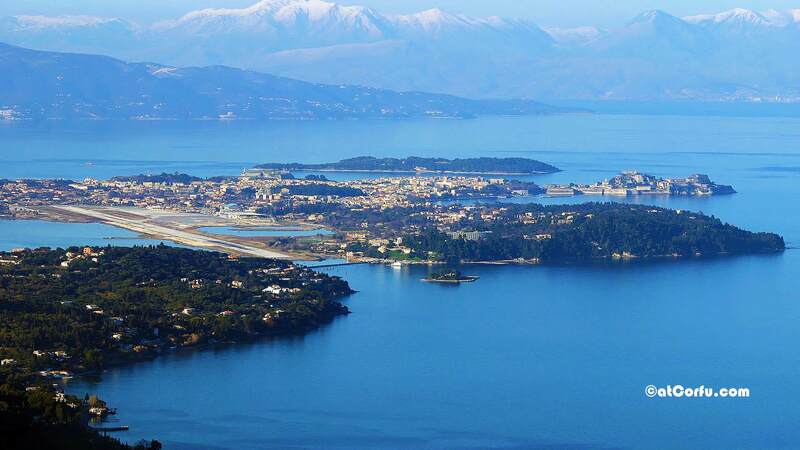 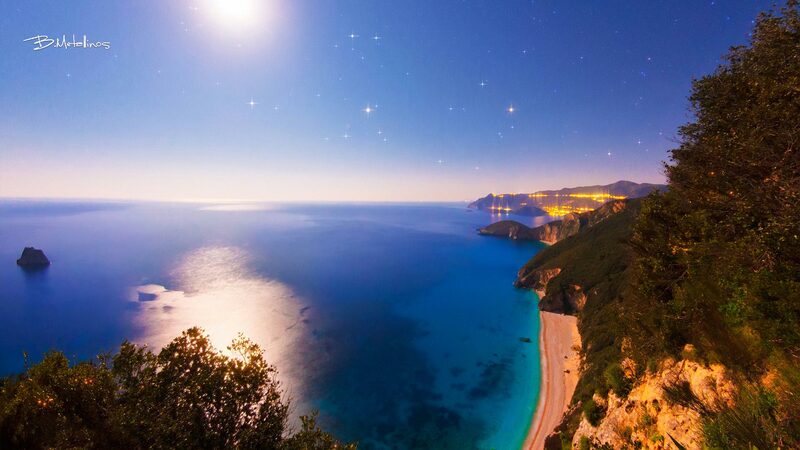 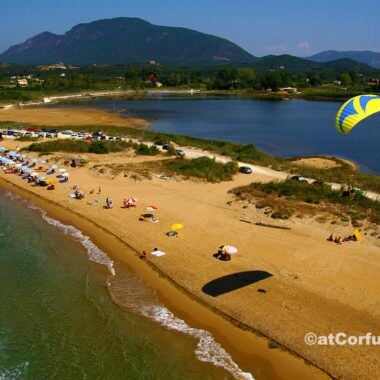 We present the things that a visitor can do and see in Corfu, as the Sights and monuments, the sports activities around the island, the most important tourist resorts and the best beaches, especially those on the west coast of the island. 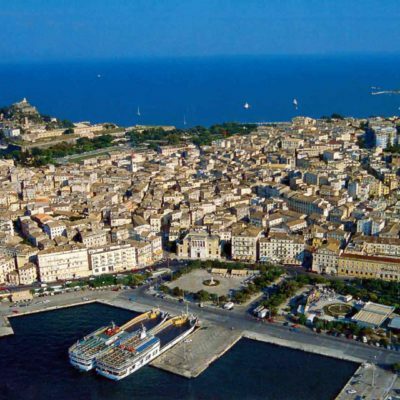 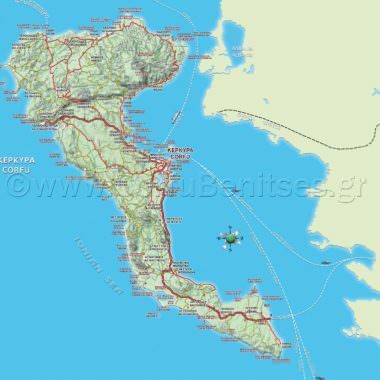 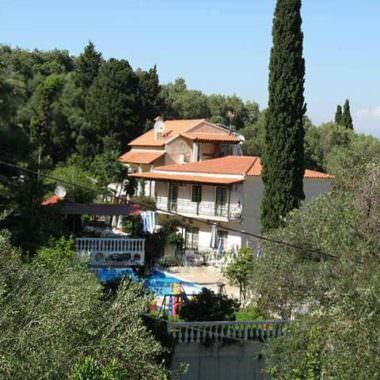 There are detailed and accurate weather forecasts for the island and all of Greece for a period of 5 days in the page about the weather, Large maps for Corfu, maps for the town, old Corfu town and maps for some busy tourist resorts. 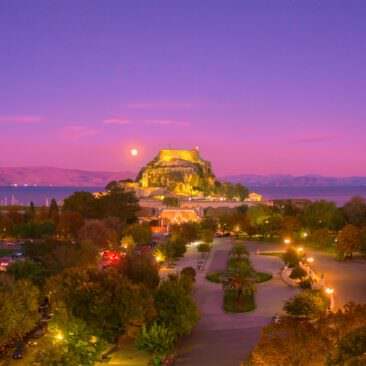 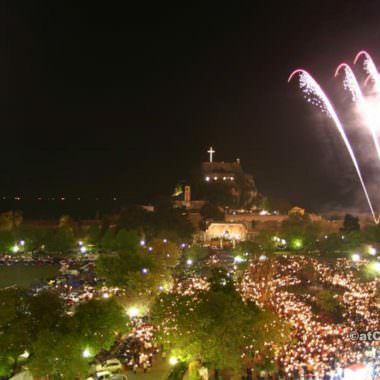 We also contain reports and information about the rich Corfiot culture, a complete list of all museums, monuments, and archaeological sites, presentation of cultural events and celebrations, with a special page dedicated to the famous celebration of Easter. 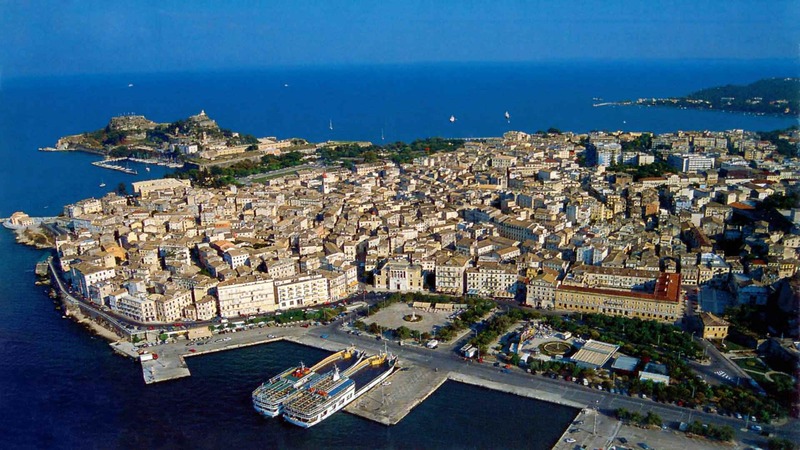 There is a great variety with thousands of new and old photos, including hundreds of historical old black and white pictures from Corfu as well as historic old photos from Greece of the beginning of the 20th century. 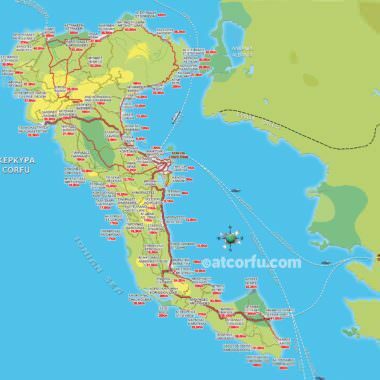 We have recipes for the principal dishes of the local cuisine in the page about Corfiot cuisine, and finally the exciting history of Corfu with details from antiquity to today.